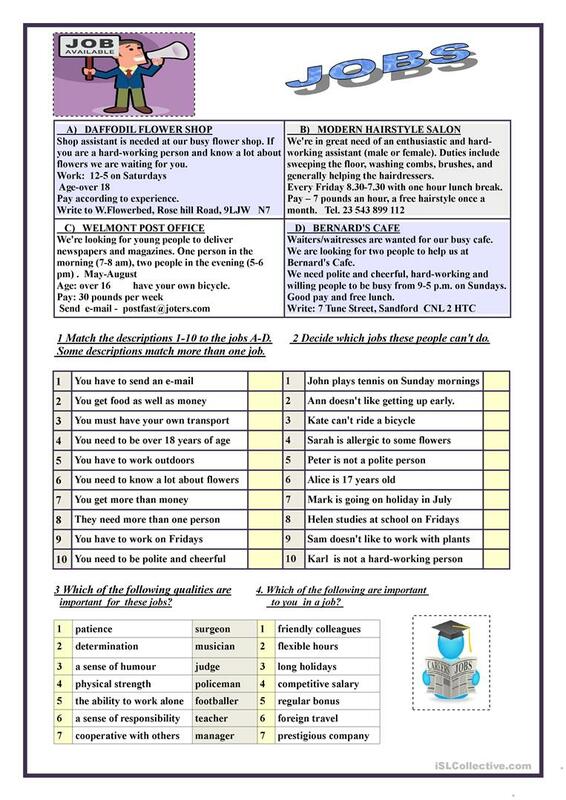 The worksheet was made as an extra activity when you teach the topic 'Jobs'. It consists of four advertisements and four different exercises with the key on page two. 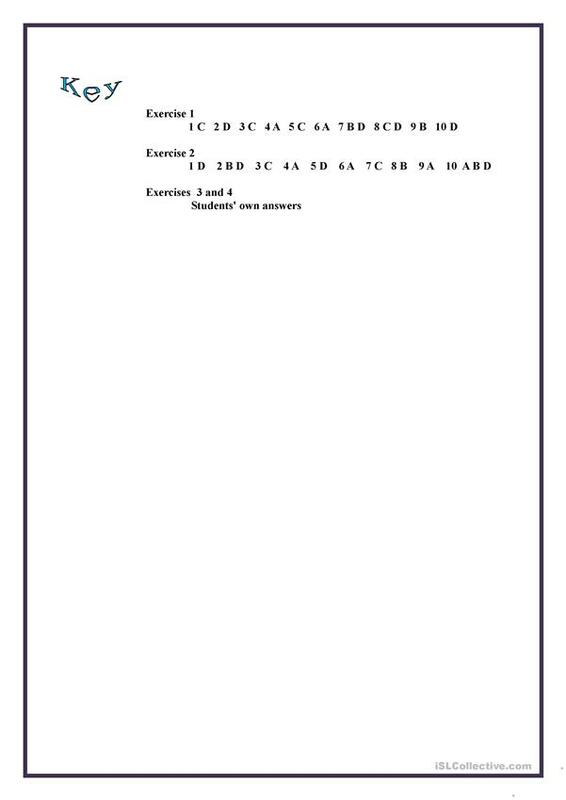 The above downloadable handout was created for business/professional students, high school students and adults at Pre-intermediate (A2) and Intermediate (B1) level. It is a valuable material for working on your pupils' Speaking skills. It is focused on the topic and words of Jobs, work, Money and People. The exercises come with a key. tantana is from/lives in Russia and has been a member of iSLCollective since 2012-11-28 17:09:54. tantana last logged in on 2019-04-20 21:40:58, and has shared 260 resources on iSLCollective so far.